A mature Pacific Silver Fir in the Olympic National Forest. 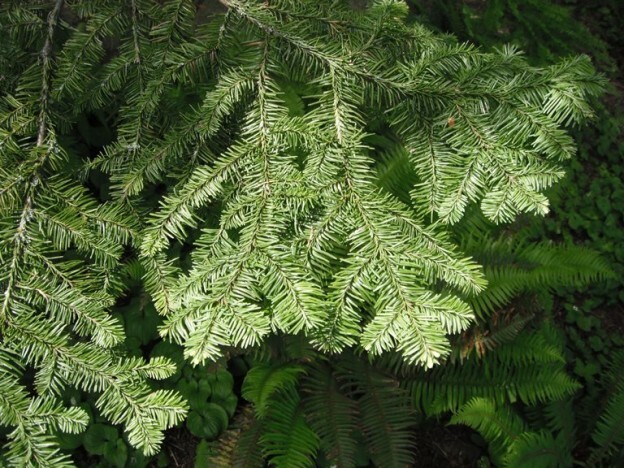 Names : Pacific Silver Fir is also called “Lovely Fir.” In fact, the name “amabilis” means pretty or beautiful. 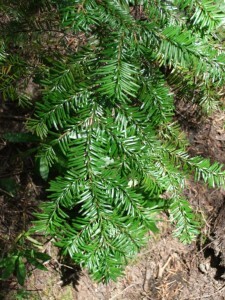 It is also sometimes called Cascade or Red Fir. 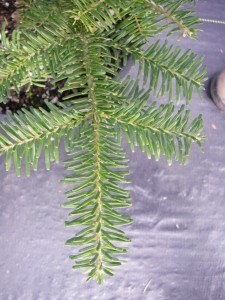 Relationships: There are about 40 species of true firs in the world, 9 in North America. We have 4 in our region but only the Grand Fir, Abies grandis, is common in lower elevations..
Distribution: Pacific Silver Fir is found from the coast of British Columbia and in the mountains of Washington and Oregon. Growth: The tallest are just over 200 feet (60m), but most only grow to about 150’ (45m). 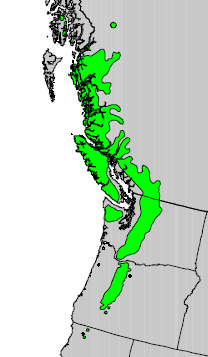 The largest are mostly found in Olympic National Park and Vancouver Island. 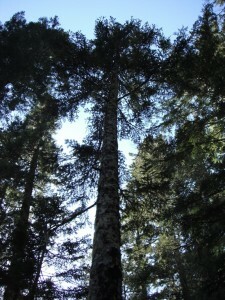 Pacific Silver Fir lives about 400 years. 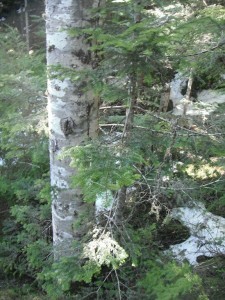 A young sapling and the mottled bark of an older tree. 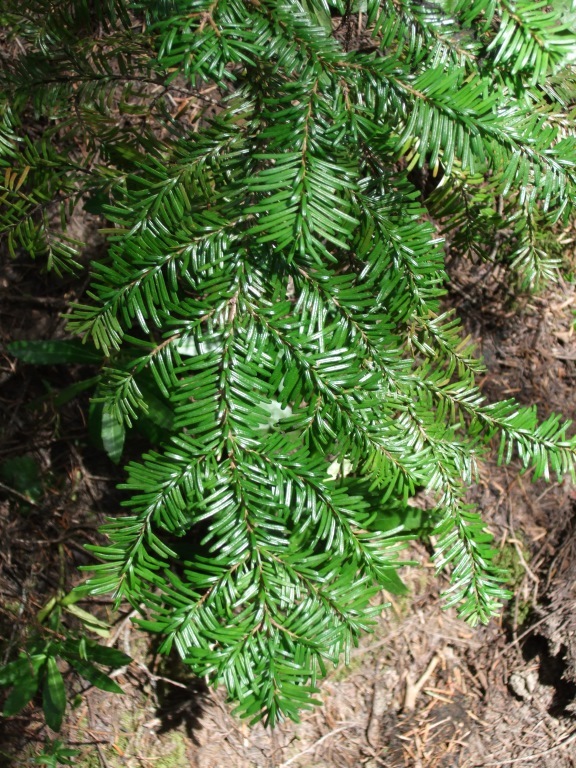 Habitat: Pacific Silver Fir is our most shade tolerant tree and is the climax species of the Pacific Silver Fir Ecological Zone, which lies between the Western Hemlock Zone and the Mountain Hemlock Zone. It grows in cool, moist rainforests and is sensitive to drought. The needle arrangement is similar to the fur on a dog’s tail. 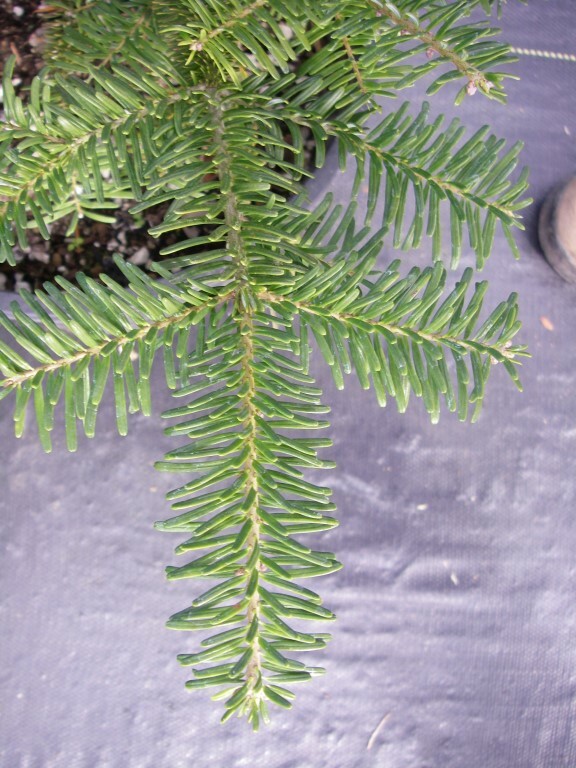 In the Landscape: Lovely Fir is not as easy to grow in cultivation, but is worth a try in a suitable habitat! Phenology: Bloom Period: Mid-May to mid-June. Cones mature in August; seed dispersal begins in mid-September. Propagation: Seeds should be placed in cold moist stratification for 28 days. Germination occurs best at 30°C Day/20°C Night, alternating temperature cycle. Germination is greater in dark than in light. 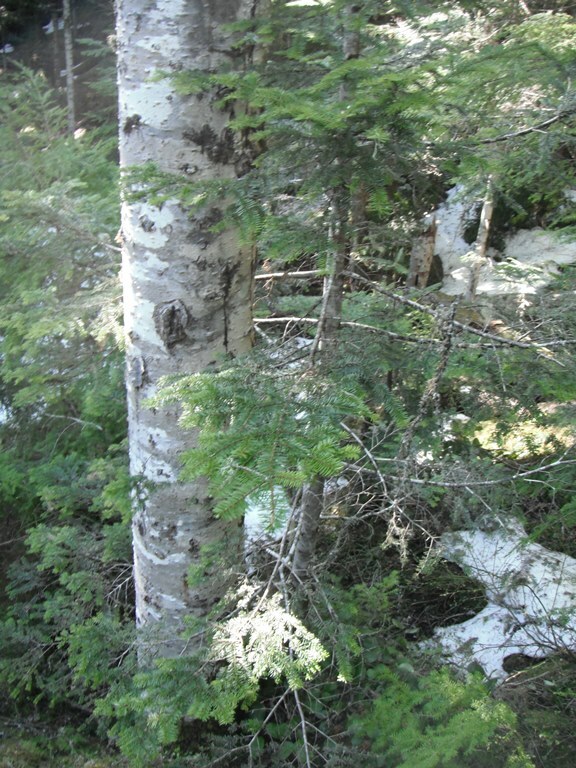 Use by People: These trees are not highly valued for lumber, perhaps because the wood is not as resistant to decay and the tree’s relative inaccessibility at higher elevations. 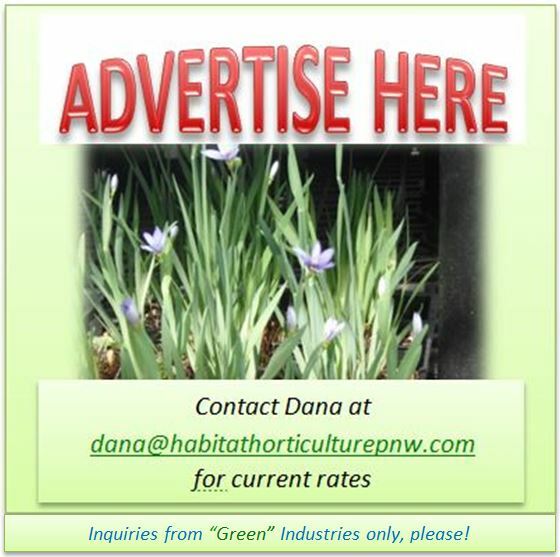 This entry was posted in Conifers on March 12, 2014 by habitatdana.